Just thought I'd share a post script from the latest Pint in Hand, sent out to members of SPBW. Although there are many beer related reasons to visit Bruges, there is now the added attraction of the Frietmuseum, the world's first museum dedicated to the humble chip. Potatoes were apparently discovered in Peru around 15,000 BC and Belgian frites date from around 1700. The museum, set in one of Bruges oldest buildings, boasts beautiful photos of Peruvian tubers and an interesting collection of chip art (I kid you not) together with a marvellous display of retro chip fryers. This has got to be worth seeking out on a future visit to Bruges just out of curiosity. The Lewes Arms, in Lewes, which was the subject of a bitter battle when Greene King took out the locals' favourite beer, Harveys Best Bitter, has been bought by Fullers. Not wishing to get into the same sort of dispute, sensibly Fullers have already agreed that Harveys Best will sit on the bar alongside the usual Fullers range. In return, Harveys have agreed that their flagship London pub, the Royal Oak in Tabard Street, Borough will permanently stock one Fullers beer. The Royal Oak is home to the CAMRA London Regional meetings is one of the top pubs in London for beer quality. The London Pride (or other) will no doubt be in tip top form but I cannot see it competing against the delicious range of Harveys beers. Indeed I am disappointed that one of the pumps will replace a Harveys beer with the Fullers. This is one of the only pubs in London to permanently stock a mild so hopefully that is not the one that will be sacrificed. The beer in the Lewes Arms will also always be of good quality as it will be leased under the supervision of the landlord of the Basketmakers Arms, Brighton, another pub where real ale is king. What's Brewing, the newspaper for CAMRA members landed on the doormat yesterday. The paper was relaunched last month with a quarterly supplement, "Beer" and a welcome change it was. Of course, there are always going to be some teething problems with something so fresh and new, but it was a step in the right direction making CAMRA campaigning very readable. The Beer supplement used to be a monthly paper, now it is a quarterly magazine, so we now have a lone What's Brewing 2 months out of 3 and as a result it appears very thin. Because we were all together sharing news at GBBF, much of the content also seems a little old - a factor of the lead times required for printing. Generally speaking the layout and presentation of the paper is much improved, with better use of colour and captions giving a more up-to-date appearance. I am cautious to criticise something which is obviously a work in progress but most of the important campaigning information remains unreadable. I know I am a forty something, speccy old git, but the only branch diaries (What's On) that I can read are for the Lesbian & Gay Real Ale Drinkers and the Young Members Group - neither of which I am eligible to join. We are, of course, a victim of our own success with 200 or so branches and 150+ beer festivals each year and space is limited - the previous layout had similar problems - but we have to get this right. 2008 is supposed to be the year to activate our membership. That is hard to do if they cannot read what they are supposed to be doing. The editorial apologises for unreadable parts in last month's issue and promises a tweak in design and requests feedback. Feedback : the tweak has not worked yet for me ! The Andover Arms is a community locals pub hidden in the back streets of Hammersmith, W6 at the Ravenscourt Park end. It is a Fullers pub that is well worth the effort of finding. Having featured in the Good Beer Guide continuously since 1996, it remains one of my favourite places to spend an afternoon. As well as the usual Fullers range it has also hosted a couple of small beer festivals in the past year and there is another offering on 5th to 7th September. Although my visits usually coincide with a QPR match, on this occasion there is no football that weekend. So with no sorrows to drown I am looking forward to at least a half of each at some point over the weekend ! CAMRA Books' latest offering is A Beer a Day - 366 beers to help you through the year written by leading beer writer, Jeff Evans. What follows is my carve-up of the CAMRA press release to launch the book. Hopefully I will be able to write a more considered piece once I have properly read the book. A Beer a Day is described as a beer lovers almanac. Set in simple day-to-day diary style it matches 366 beers from around the world with a major event, season, or other commemoration for each day of the year. The majority of the beers featured in the book are attainable from supermarkets, off-licences, online stores, and straight from the cask at selected pubs throughout the UK. The more elusive brews reflect the theme of the book- to encourage the wider distribution of fine beers. The book is available directly from the CAMRA website at www.camra.org.uk, priced at £14.99 for CAMRA members, and £16.99 for non-members. As much as I am enjoying the over achievement of Team GB in the various Olympic events, there is not really much for the beer lover. Being the 1979 Barnes Fayre yard of ale champion and a dab hand at table skittles or shut the box, I feel the IOC could make some worthwhile changes for London 2012. My beer of the Olympics has been Downton Olympic Flame which I have chanced upon twice in recent days. Admittedly this is the only Olympic beer I have seen so far but it wins gold, silver and bronze for me. A straw coloured beer, flavoured with ginger and coriander, weighing in at 4.1%. The ginger is not too overpowering, making this a very refreshing pint for the expected balmy evenings of late August. Staying on a Chinese theme, I notice that Tsingtao Brewery results were announced today. China's best known brand posted a 42% rise in half year profits. Although China's beer market is fragmented by nearly 400 brewers, Tsingtao brewed 26.86 million hectolitres (c 18 million barrels - over 5 billion pints) in 6 months - a staggering amount - and only 10% of China's total; the world's largest beer market by volume. Continuing the theme, I happened across these examples of Young's new pub signs in Wimbledon last night. Did not manage to sample the pub's beer as I was hot footing it to a "meet the Downton brewer" evening at the Brewery Tap opposite, where the Quadhop was in great form; one of my current favourites. The Beer Festival is organised by SIBA (Society of Independent Brewers). 30+ breweries in the South East will enter over 120 beers competing in categories to include Best Bitters, Strong Ales, Porters, Old Ales & Stouts, Milds, Speciality Beers and Bottled Beers. 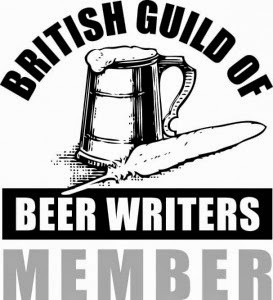 The judging panel will comprise SIBA Members, Brewers, CAMRA members and well-known Beer Writers. The Beer Festival will also include craft brewed, traditionally matured continental style lagers produced by SIBA brewers in the South East as well as a selection of ciders. SIBA used to host their SE competition at one of the larger local beer festivals; Ealing and previously Reading. Such is the growth of the micro brewing sector and the success of SIBA itself, they have now outgrown even the largest CAMRA festival in SE England and now host their own event. Although, not a CAMRA beer festival per se, many of the volunteers here are local CAMRA members and last year's event was a great success and an enjoyable day out. I commend it to your attention ! At the Young's agm a month or so ago, there was a comment from the floor from a small shareholder that he was disgusted that some of the company's pubs now had pub signs that had been painted by the local kindergarten. The only pub that I caught the name of was The Green Man at Putney Heath, though I have yet to visit to see for myself. Now I can't get worked up about pub signs - my campaigning is all about the actual drink that I love - however, I can concede that "disgusted of Wandsworth" does have a point. For a company that is working hard to convince us (not always successfully) that they are focused on their company's history and heritage, I cannot see the value in causing such a storm in a teacup by such nonsense. A visit to The Green Man is now a must to see their new signs, I am led to believe they are not quite as "basic" as this one. The end of the week. 60,000 customers, 250,000 pints, 450 British cask ales, 108 ciders and perries ...... we are exhausted after a long week. As GBBF week came to a close, I was asked to perform for a video on the Perfect Pint. Tim Lovejoy, he of Soccer am fame, has just launched a web TV channel called ChannelBee.com. Part of the channel is a three minute slot for experts to share the crucial 1% of their chosen field with the layman. I could not quite manage it in three minutes but here is my four minutes of fame. I spent yesterday taking a camera crew around GBBF doing a film about beer ticking. Brian the Ticker had previously drunk 39,985 different beers over a 30 year period and was chasing his landmark 40,000. The first 2 hours was spent analysing the programme to see how many winners there were on the list. Luckily there were 18 which given some might not be available would mean that chasing 15 over the day would be possible. A further couple of hours spent watching Brian sampling his beers approaching the 40,000th; then it was time for the money shot. By this time Brian was oblivious to the camera crew and marched off to buy his 40,000th beer. The camera crew chased after him to the Scotland bar. With perfect timing, just as Brian was buying his landmark beer Tryst, Stars in Stripes, the battery in the video camera failed and we missed the big moment. A quick replacement battery meant that we were able to film Brian drinking his 40,000th and he was clearly delighted to be Britain's Best Beer Ticker ! Alton’s Pride brewed by Triple fff Brewery in Hampshire was today judged to be the best beer in Britain by a panel of brewers, beer writers and journalists. The Hampshire brewed beer was chosen as the overall winner from over sixty finalists in seven categories (Best Bitters, Bitters, Golden Ales, Milds, Speciality, Winter Beer and Strong Bitters) including beers from tiny micros to major regional brewers. The Silver award went to Black Dog Freddy from Beckstones (Cumbria). Bronze went to CAMRA’s current National Winter Beer of Britain winner Station Porter from the Wickar Brewery (Gloucestershire). Today's highlight will be the arrival of a 250 litre (c54 gallons) cask of Dutch beer - De Molen - Tsarina Esra. The brewer is bringing the cask himself from Holland; but I am sure it would have been easier to bring two, one under each arm. Of particular interest is that the barrel is wooden; the beer having undergone extra maturation - one definitely for our friends from SPBW. Described as being dark brown in colour, with aromas of caramel, chocolate, dried fruit and licorice, the taste is more dark chocolate with a light peat smokiness, tobacco and a warming sweetness. This is one for the connoisseurs withing in at a beefy 11% ABV. A bare Earls Court welcomed the first volunteers today. This year's Great British Beer Festival will see seventeen of America ’s craft breweries represented, showcasing 57 of their beers, the largest amount of American Craft Beer to be available at the GBBF in its 31-year history. Well, let's hope so at least. A couple of years ago, we were expecting a large consignment of American beer but alas, it was impounded by British customs and excise, days before the event as illegal foodstuffs. By the time it was released, GBBF was over and some other lucky local CAMRA beer festivals were the beneficiaries of this misfortune. The foreign beer stand at GBBF is know as "Bieres Sans Frontieres" and is managed by Andy Benson who reports "We aim to feature the best beer from around the world and American craft beer is a very important part of that, and one which has increased in size at the festival over recent years. “American brewers are extremely innovative and produce an incredible variety of beer styles, which are of the utmost quality. 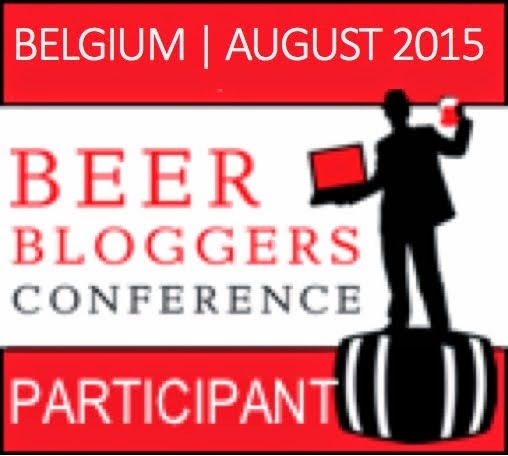 I have just found the list of beers and breweries on the BSF website - now linked above. The American beers are of considerable interest to me this year, as I have been invited to be a judge at the Great American Beer Festival in Denver in October. This will give me a taste of what USA has to offer.